Eco home renovation projects require close project management. 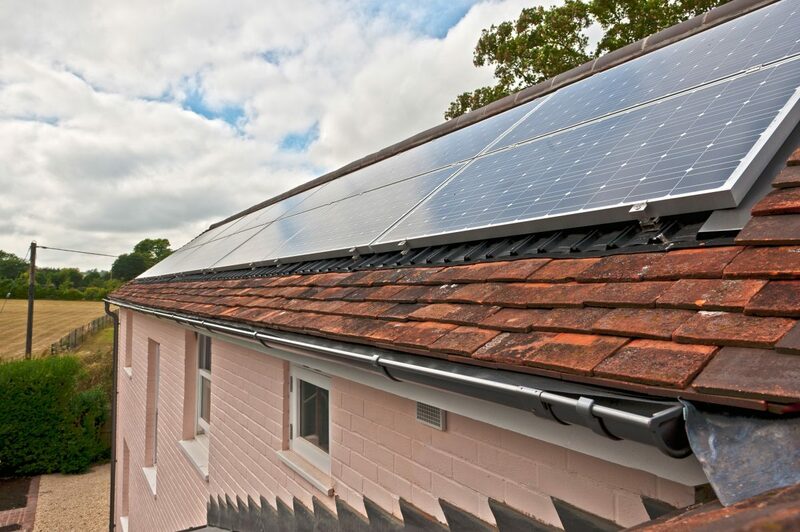 Matching the sensitive needs of an older property with the desire to create an energy efficient home can be a challenge. 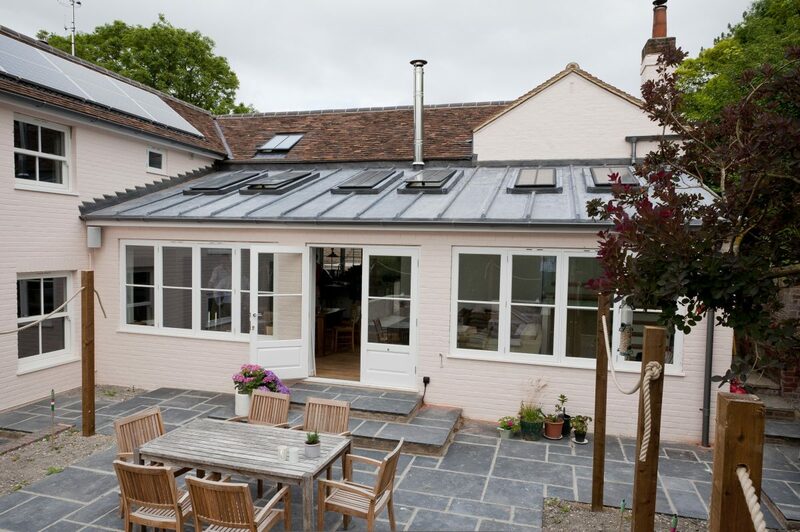 This eco home renovation project near the Oxfordshire and Berkshire border was certainly was a labour of love. Built in 1800, and once home to the painter and illustrator Sir William Nicholson, the house had been added to many times over the years and required an extensive renovation and rationalisation. 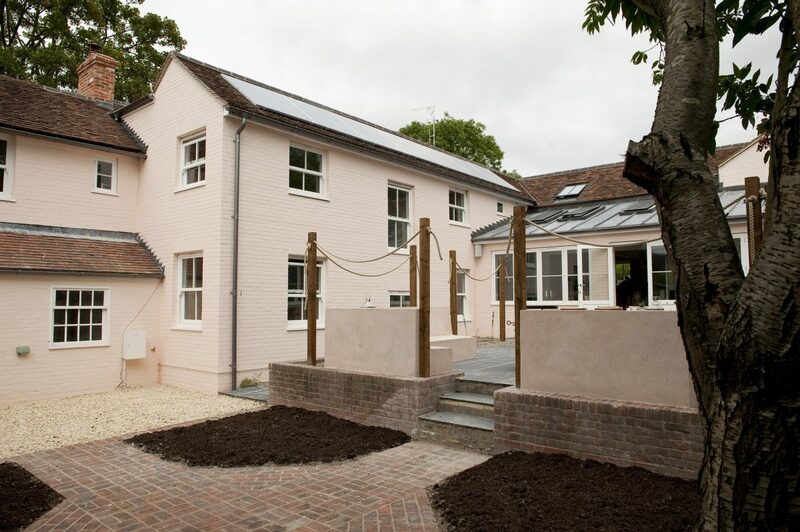 Our clients started working early on in their eco home renovation project with CLPM when it became clear that they needed additional support at the design stage. We were able to recommend an architectural designer to work with our clients to produce more detailed plans from the basic architectural drawings they already had. 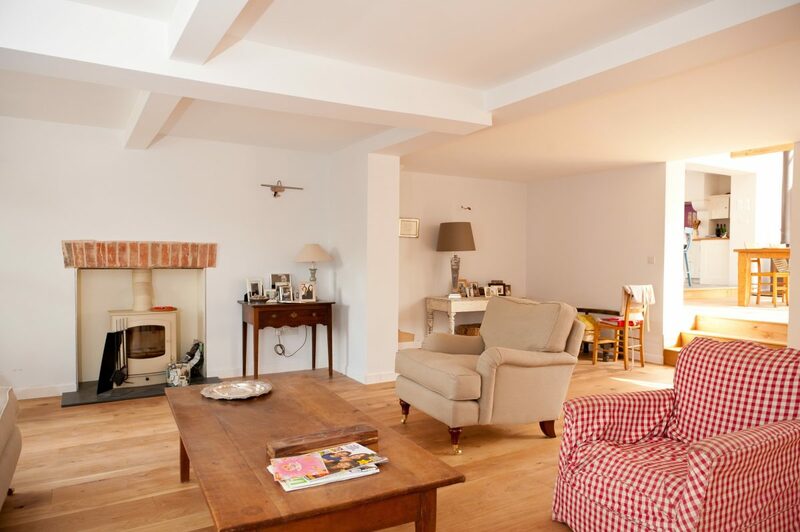 The result was an ambitious remodelling to include a double storey extension and a new, light and airy reception room to harmonise the layout and increase the usable space. CLPM Energy Consultancy supported the project, ensuring the new structure was built to make it as energy efficient as possible as well as introducing sustainable technology such as a new energy efficient gas boiler, under-floor heating, solar thermal hot water system and a solar photovoltaic array. The CLPM Cost Advice team took these plans and produced a budget, and then went out to tender, splitting the job into separate trade packages. This approach saved our clients an estimated 35% to budget, so we drew up a master programme and building works commenced. However, as the work progressed on site it became clear that much of the existing structure was not as robust as had been supposed, so our project manager organised additional inspections from an engineer to specify remedial actions, got prices for the revised scope of work, reprogrammed and re-costed the work whilst still driving forward the build. 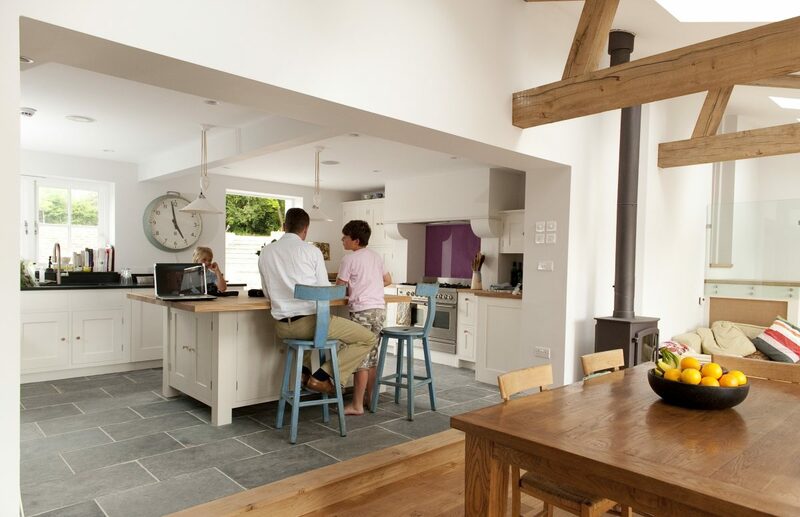 Whilst the project certainly didn’t always go smoothly, the end result was everything our clients had wanted – a sympathetic eco home renovation delivering a warm and welcoming modern family living space. Design Review, Budget, Tender Process, Monthly Cost Reporting. Full Project Management using individual trades. At CLPM we always aim to deliver a bespoke service, tailored to the individual situation of our clients. If you are planning an our eco home renovation project and are in need of eco home renovation project management advice and support we’d welcome the opportunity to have a chat.